This summer, VSU students will be greeted with a new look and feel to BlazeVIEW, VSU’s online learning management system. VSU’s eLearning department and the University System of Georgia have decided that it is VSU’s turn to receive the makeover. Starting May 7, the update will go into effect. BlazeVIEW D2L Brightspace and GoView Brightspace D2L will transition to Daylight, a new visual cosmetic and design upgrade to VSU’s online learning system. Brightspace D2L is the software manufacturer of the USG online learning systems of the 28 public institutions in the state of Georgia. Philip Bishop, senior online instructional designer at VSU, describes the upcoming update as “user friendly.” Like any new update, the purpose is not to confuse the user. Bishop confirmed that BlazeVIEW will have minor tweaks. Using BlazeVIEW should not be any more difficult with the new update. It features the same functionality, sign-in process and course content as the version students use today. Students will not need to add, remove or change any content during the transition. · A new interface that includes more elaborate photos. · A new way for students to navigate the announcements from various courses. · A new color scheme and course content process. Daylight also makes BlazeVIEW compatible to smaller devices. If a student logs on to BlazeVIEW from a smartphone, tablet or anything other than a computer, it will adjust to the size of his or her screen. On the smaller devices, students will use the “hamburger icon,” located in the top left corner of the site, to open the main menu which shows them announcements, a message portal, the library and more. A screen reader feature will be added to the smaller devices and computers for users with low vision, hard of hearing or uses a wheel chair. According to Brightspace D2L, the feature is of ADA (Association of Disabilities Act) compliance and accessibility which makes the software useful to all users. One student feels that BlazeVIEW is unreliable at times and is awaiting the new update. 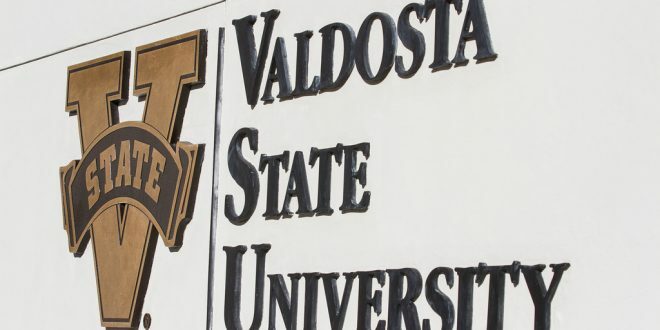 Another student is pushing for the update to be simple for current and incoming students to VSU. Starting next week, the eLearning department will give faculty and staff members the opportunity to come into their lab and see the new Daylight update in action. Also, the department will host “Webinars” for students to see how the new product works. Written by Prince Robinson Jr., Staff Writer. Photo courtesy of VSU.